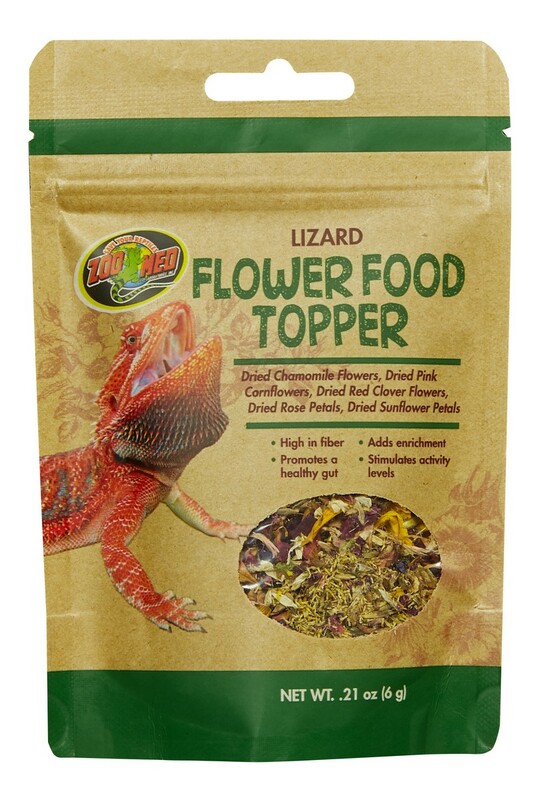 Lizard Flower Food Topper | Zoo Med Laboratories, Inc. Flowers are a natural diet item for many herbivorous and omnivorous lizard species, including Iguanas, Uromastyx, and Bearded Dragons. Flowers provide a great source of fiber, minerals, and vitamins. 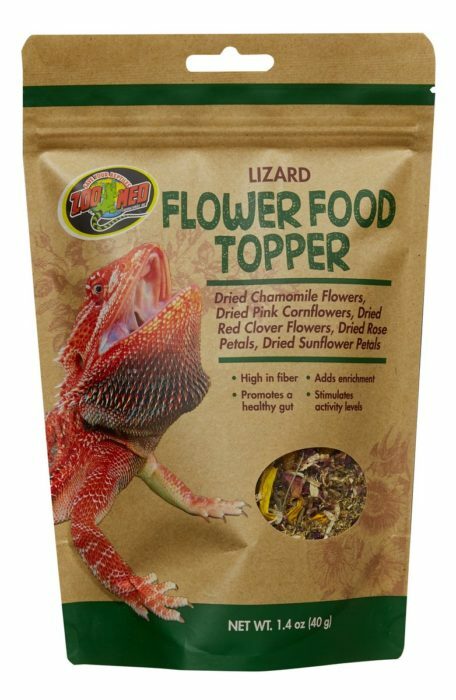 Zoo Med’s “Lizard Flower Food Topper” is a great way to add fiber to your lizard’s diet, and to provide enrichment to their routine. Fiber promotes a healthy gut, while enrichment helps to stimulate their senses and may increase activity level.